These Insect Sized Drones Are A New And Scary Addition to Army. PD-100 Black Hornet was just an experiment back in 2009, developed by Norwegian company Prox Dynamics AS. And now it has been put to work by British infantrymen in Afghanistan, exploring possible routes for enemy ambushes or secretively flying over enemy compound walls for a look inside. 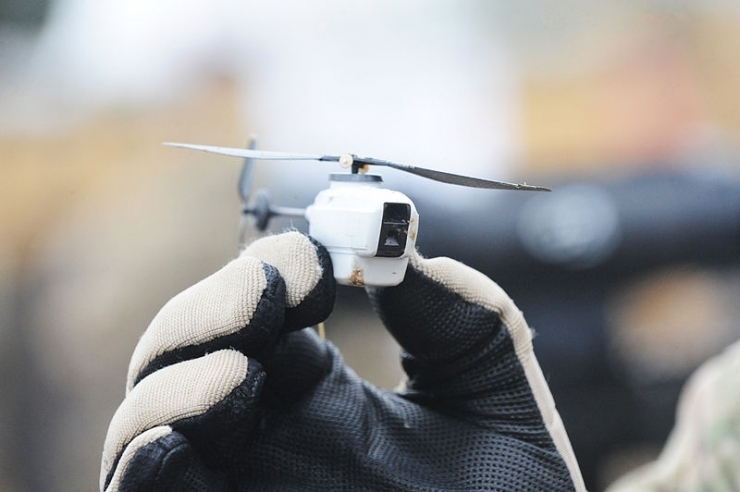 The pocket-sized drones were exposed at the Association of the U.S. Army Expo for the first time last week and are meant for a soldier’s personal use, with simple and easy operating system. Black Hornet can fly 20-25 minutes before needing to recharge, meaning the drone can travel nearly 4,000 feet in one go using GPS. Visual information is sent to a mobile device supplied in the PD 100 kit, which also includes a docking recharging station and a remote controller. The drone is invisible at 30 feet high, making it ideal for secret military attacks and to keep an eye on the enemy. The U.S. Army has purchased two Black Hornets, while the British military already has 324 of these tiny monsters.